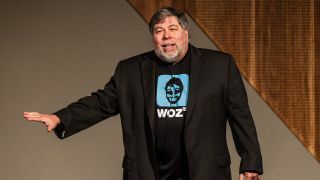 Steve Wozniak, Apple's co-founder, recently spoke at a conference hosted by enterprise software firm New Relic where he commented on the iPad, Apple's ecosystem and the Apple Watch. Wozniak said Steve Jobs still has a big effect on the company after initiating the closed nature of Apple products. "I don't like being in the Apple ecosystem," he said, according to Fortune. "I don't like being trapped. I like being independent." Wozniak also commented on the Apple Watch, and he doesn't seem particularly enthused by Cupertino's first wearable. Apparently Wozniak often forgets to wear his Apple Watch for a number of days, which he sees as a bad sign for the smartwatch. He does think it's improving though, with a number of better apps for the device and a lower starting price. Wozniak didn't share any of the apps he particularly likes, but said the smartwatch is a strange device as it acts as a "middleman" between him and his phone. He also said he's not a huge fan of tablets. Wozniak said he's "more of a laptop-based guy" as the tablet has "limited" use for him.